Stained glass windows depicting scenes from the life of Saint Nicaise, made in the first quarter of the 13th century from a chapel in the Cathedral of Soissons, France. 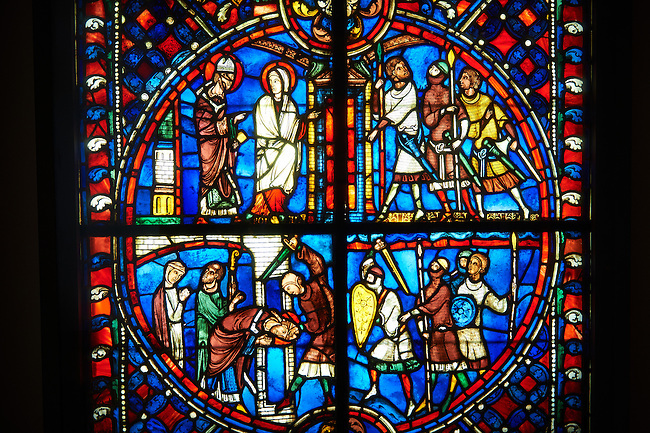 The stained glass depicts Saint Nicaise arriving in Rheims and his martyrdom . Inv OA 6006, The Louvre Museum, Paris.